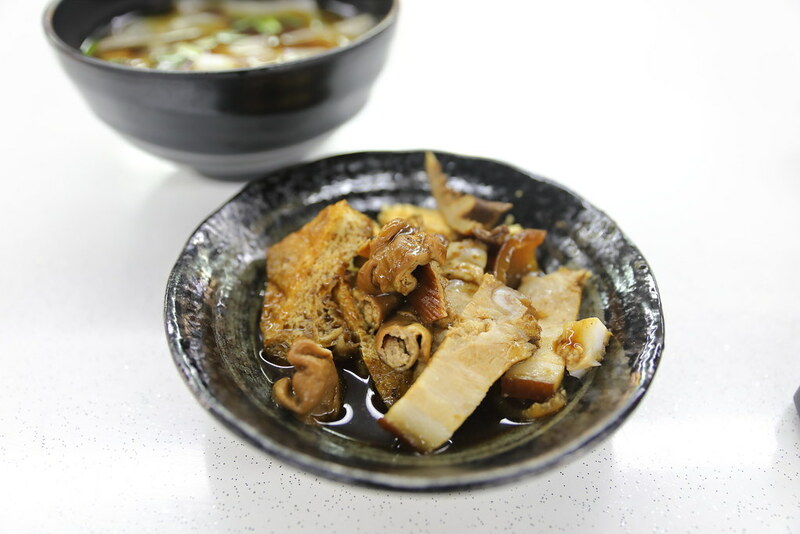 Jin Ji Teochew Braised Duck (金记潮州卤鸭) has come a long way since 1980 at Smith Street Food Centre. 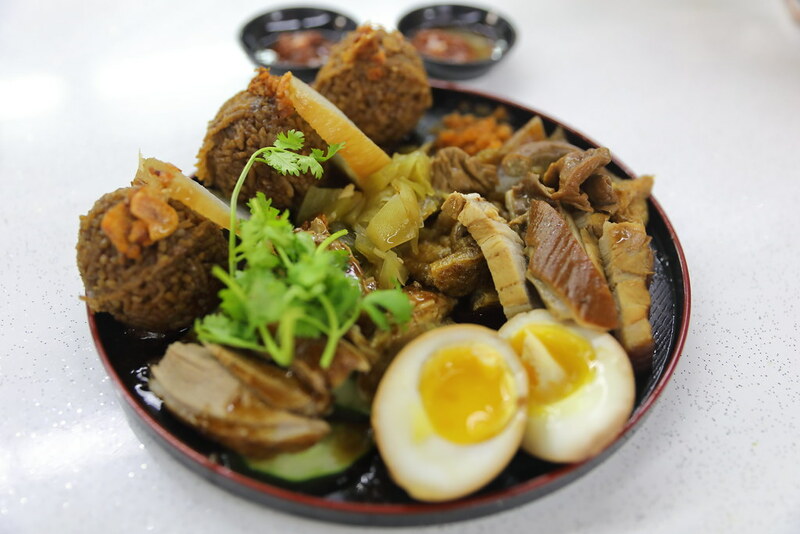 It has expanded its business and recently opened a new outlet at New Upper Changi Road, bringing its traditional Teochew braised duck dishes to the East. 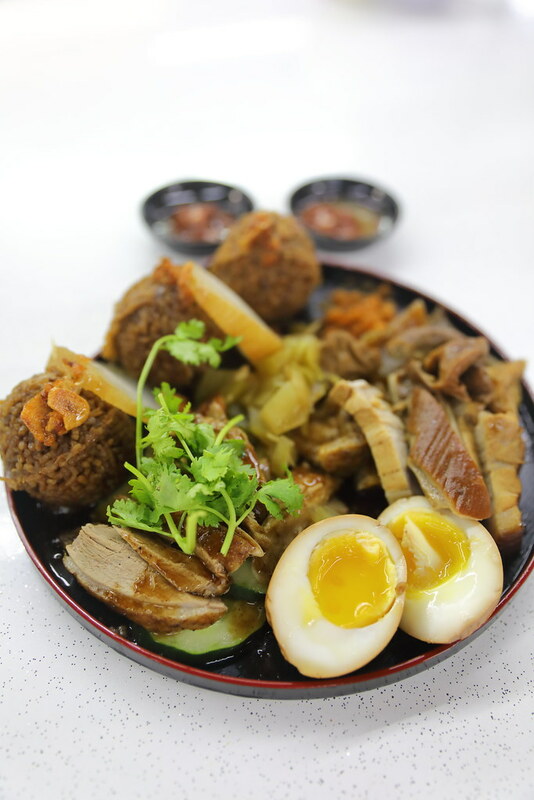 Food has to evolve with time and Jin Ji Teochew Braised Duck is probably the first stall to introduce the Braised Duck Bento Set ($8) in Singapore. 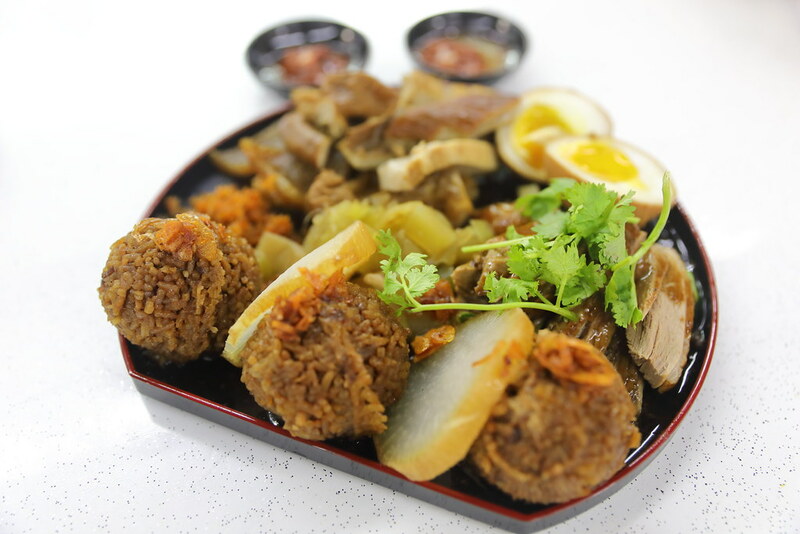 The bento set comes with 3 ball-shaped yam rice, braised duck. offals, salted vegetables, cucumber, radish and lava egg. You may called it gimmicky but I think it is smart thinking of re-packaging a traditional dish and giving it a refreshed look. I guess it turned out successful as it got quite a fair bit of attention from the media. The new stall was slightly more than a week old when I visited for dinner. I could not really fault the yam rice, tender braised duck and the lava egg. However, I thought the offals were not braised long enough, failing to absorb the richness of the braising sauce. 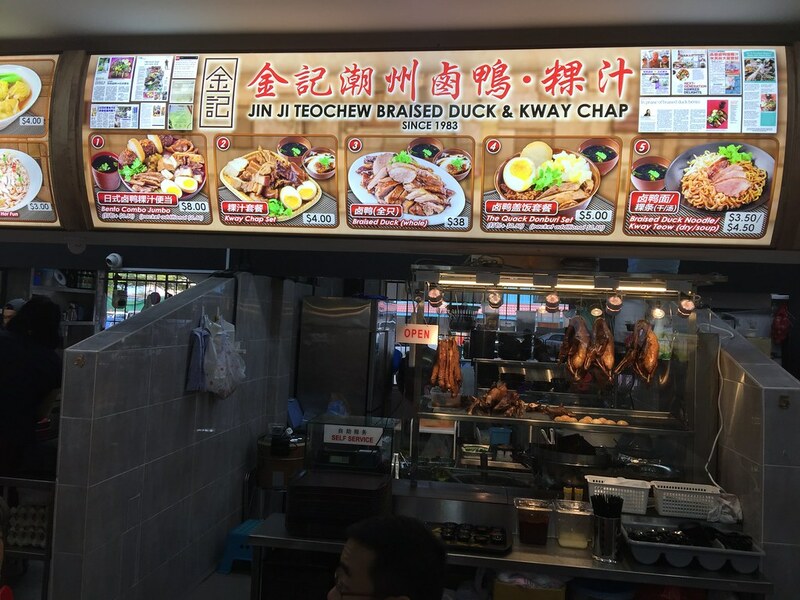 Besides the bento set, I also ordered the Kway Chap Set ($4) to try. Once again, and you probably can tell from the color, the ingredients do not seen to have braised long enough to absorb the richness of the braising sauce. 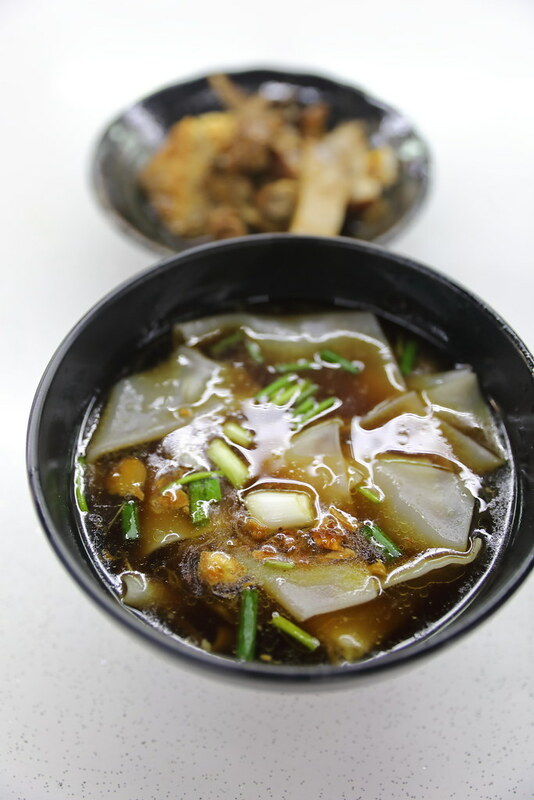 Th rice sheet was also on the thicker side and the accompanying broth tasted rather bland. This is not the usual standard I know of, probably it needed more time to smooth out the whole operations and quality consistency of the products.